Earlier this year, the I-Team was the first to report that an independent monitor ordered by Gov. Cuomo to oversee the city’s embattled Administration for Children’s Services began its work without a contract, charging pricey hourly fees — as much as $550 per hour — to be billed to NYC taxpayers. Melissa Russo reports. Earlier this year, the I-Team was the first to report that an independent monitor ordered by Gov. Cuomo to oversee the city’s embattled Administration for Children’s Services began its work without a contract, charging pricey hourly fees — as much as $550 per hour — to be billed to NYC taxpayers. This week, the I-Team obtained a copy of the first bill submitted to the city by Kroll Associates, the private firm tasked with monitoring the ACS. After reviewing the first series of invoices submitted by Kroll to ACS, the I-Team has learned that every time the city’s new consultants talk about fixing the agency, it costs taxpayers money. Just one meeting in Albany on March 7, including travel and the review of necessary documents, cost taxpayers $8,187.00. 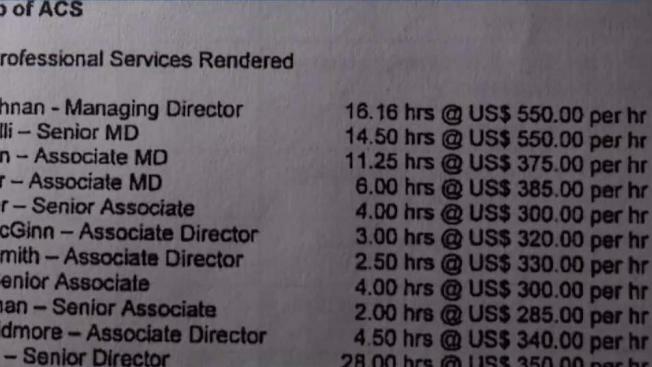 The first bill shows that Kroll has a dozen consultants on the case charging between $285 and $550 per hour. The tab for the first month of services is $51,418.25, which includes a 20% discount. 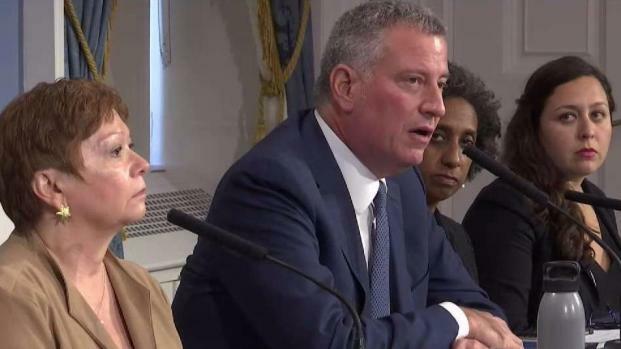 The city is paying an exorbitant amount -- $550 an hour in some cases -- to an outside consulting firm tasked with helping reform the embattled Administration for Children's Services, documents obtained by the I-Team reveal. The I-Team took the bill to the city comptroller, Scott Stringer. He said he would open a review. “I am concerned that we are looking at large fees but I have to follow the money and make sure those fees are justified,” Stringer said. The bill was revised and resubmitted to the agency. Kroll originally billed ACS $56,668.25, but the firm amended the invoice and reduced the hourly charge for one of their subcontractors. The monitorship came as a result of Governor Cuomo, who called upon the de Blasio administration to hire Kroll to serve as an independent monitor for ACS after the death of 6-year old Zymere Perkins. “Losing a child is unbearable,” said former ACS Commissioner Gladys Carrion after the deaths of several children in the care of ACS. Carrion stepped down as head of the child welfare agency and the city moved towards finding an independent monitor. Wells shared that he sees the benefit of the monitorship. “If their goal is to make real recommendations I think that has a change to make a positive impact,” Wells said. Some critics say that taxpayers already spent $3.1 billion a year on ACS and the consultants are currently at work without a contract and an end date. Kroll Associate’s team has conducted 18 monitorships, including of the DOJ and SEC. The team includes the former New York State Inspector General Joseph Spinelli who started his career with the FBI. Richard Faughnan is a managing director at Kroll and is also a member of the team conducting the monitorship. Faughnan is a former assistant U.S. attorney for the Eastern District of New York. To contextualize Kroll’s first month’s tab, it is about the same cost as what the agency spends to conduct just one of its 60,000 investigations. “We do need more oversight of ACS, but we also need oversight that is going to produce results and is cost effective. Sometimes too many people in the cookie jar means we don’t get the bang for the buck,” Stringer said. Sources familiar with the monitoring agreement tell the I-Team that Kroll’s work is only getting started, so the monthly fees are likely to go up from here. Kroll declined to comment.